With an estimated economic impact of $82 billion (AUVSI Report, 2013), growth in the UAS industry continues to spark interest and competition – particularly in states with significant aerospace and transportation research facilities as well as those transitioning military industries. According to the report, Virginia ranks 8th in terms of potential economic impact despite having significant research capacity and a high concentration of related military industries. 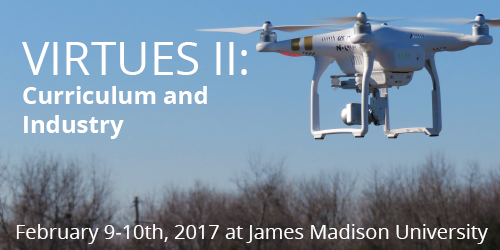 We’re bringing Virginia’s UAV community together to produce actionable objectives toward Governor McAuliffe and Senator Warner’s vision for the New Virginia Economy. If you have additional questions or concerns, please contact Emily Winter at [email protected] or 540-568-7447.